Here's another post that is a bit different than my typical product reviews. 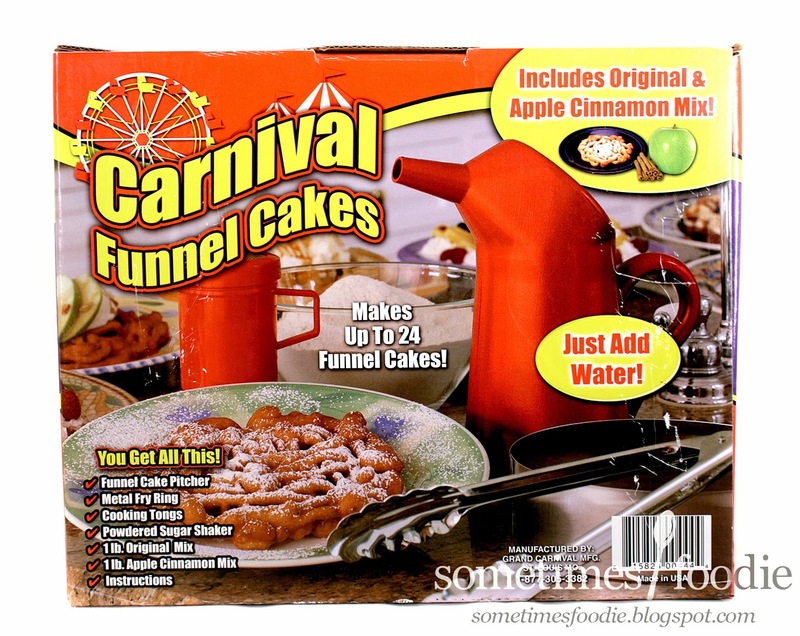 A funnel cake making kit! Funnel cake holds a special place in my heart. My grandfather used to own a small hotel in Wildwood, so my entire family would pack up and stay there for a few weeks in the summer. I would go to the beach with my cousins, eat boardwalk food, and we'd go swimming in the hotel pool. Sadly, as my grandpa got older it was harder and harder to keep the hotel up and running, so it was sold just as I entered high school. I'm all grown up now, and the hotel has been turned into condos (like everything else in WIldwood), but I still drive down a few times every summer with friends. It's bittersweet, but when I am in Wildwood I indulge in all sorts of terrible junk food from my childhood. Which means funnel cake. I opened the box and already I am a bit skeptical. 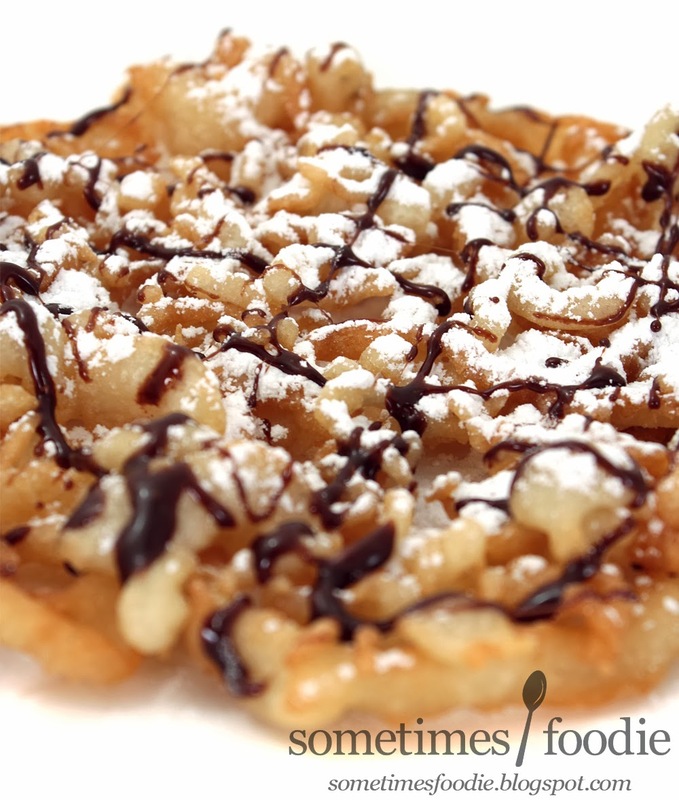 The metal fry ring is pretty small, and so are the packets of funnel cake mix. 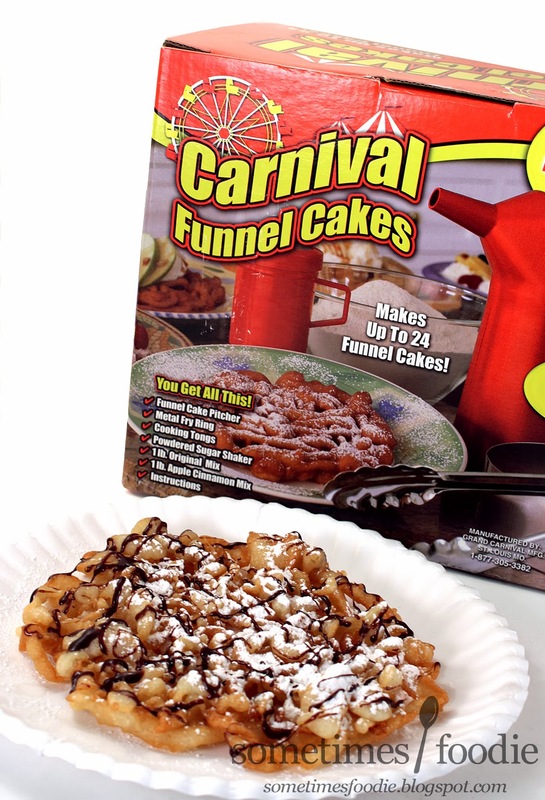 Traditional funnel cakes are about 8-10 inches wide, roughly the size of a paper plate, but this ring is 6 inches. That means that the box's promised 24 funnel cakes is bunk. (Lies!) After following the directions for the regular funnel cake batter I realized that the amount of mix included can barely yield 18 of these mini cakes, let alone 24. For 9 bucks, I'm not too surprised. I mean just look at the box. I knew what I was getting myself into. The batter was mixed and poured into the awful plastic watering can-like dispenser. Out of this entire kit, I hate this plastic pitcher the most. The batter clings to it's sides, causing a lot of wasted dough, and it's too small to get your hand inside to clean afterwards. Instead of using the ring and a pan I decided to use my little fry baby to cook these things up. I attempted to fry these up with my sister, and our first attempt didn't go well. The oil was too hot, so instead of a cake we kind of created funnel cake stalactites. 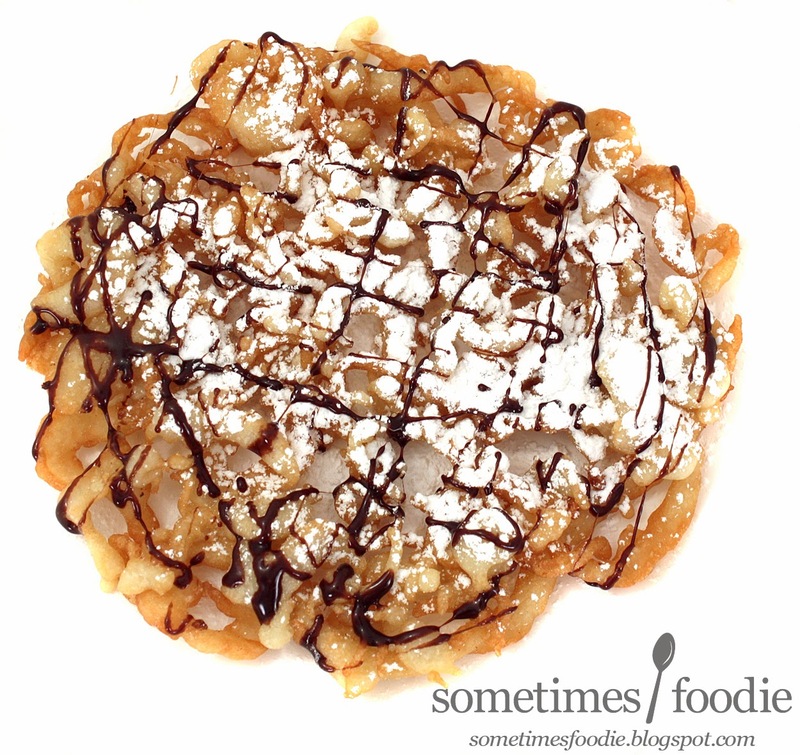 They tasted pretty accurate to the funnel cakes sold down the shore, but it looked like some kind of prickly nightmare.